← World Cup 2014, Experts’ Predictions: The Results. The Rabobank Hockey World Cup was without doubt an incredible two weeks of hockey in both men’s and women’s competitions. I was fortunate enough to spend the whole competition inside the stadium watching the action and the drama unfold. Below are some of the players who caught my eye during those two weeks. These may not necessarily be those players who won awards or gained “official” recognition but they are players I personally enjoyed watching play, for a variety of reasons. Argentina had a fantastic tournament and proved to be a revelation on their way to picking up a bronze medal. With numerous stories of interest attached to Los Leones, (Carlos Retegui coaching both men and women, the goals of Gonzalo Pelliat, the saves of Juan Manuel Vivaldi and the outstanding play of the likes of Lucas Vila,) Mazzilli went a little unnoticed by many. No question, all of those stories were worth the attention they received but one of the most enjoyable players to watch from Los Leones’ ranks for me was the No26. A tireless worker who pops up all over the place in an attempt to engineer corners for Pelliat to tuck away, or chances for the forwards to score from open play, Mazzilli produced some hair raising 3D skills which made him the scourge of many a defence throughout the tournament. He was a real pleasure to watch and definitely one to keep an eye out for. I was delighted to see the Kookaburras’ skipper voted as player of the tournament. Knowles is the epitome of the rough, tough player that makes Australia the side they are. He left the field on a stretcher with what looked a nasty injury against India but recovered and barely missed any hockey to inspire his team to the title. Knowles’ experience, vision, defensive strength and above all his consistency were huge factors in Australia’s success. He showed his technical abilities with the aerial pass for Kieran Govers’ wonder goal against England but it was his leadership that also impressed. After the Australians fell behind in the final, the captain gathered the back four in for a quick word, ensuring the likes of youngster Jeremy Hayward were reassured and re-focused, ready to overcome the deficit to win the game 6-1. You might not have seen Knowles as a player who knocked your socks off, but his importance to the Kookaburras cannot be overstated. England defended superbly in all bar one game (the Australia game, as if you had to ask.) This was in no small part down to the efforts of the whole backline. With the pre-tournament buzz around the likes of Ashley Jackson, Barry Middleton and Nick Catlin it is easy to forget that England have some other pretty handy players. Their penalty corner defence with the likes of Dan Fox and Mikey Hoare throwing body, stick and whatever else they could in the way of everything was really a sight to behold. Against Belgium, Iain Lewers seemed to be on another planet, defending probably the best I have seen from him in an England shirt. The loss of Tim Whiteman to a broken thumb should not diminish the credit he is given for his role in their efforts, whilst Dan Shingles showed everyone, as if there is any doubt, he is more than capable of playing at this level. George Pinner produced some mature and outstanding goalkeeping whilst Henry Weir, still recovering from the first injury setback of his career really came to the fore as the competition wore on. The main issue for Bobby Crutchley’s team in the tournament lay with their ability to score goals, there’s nothing wrong with how they keep them out, though. 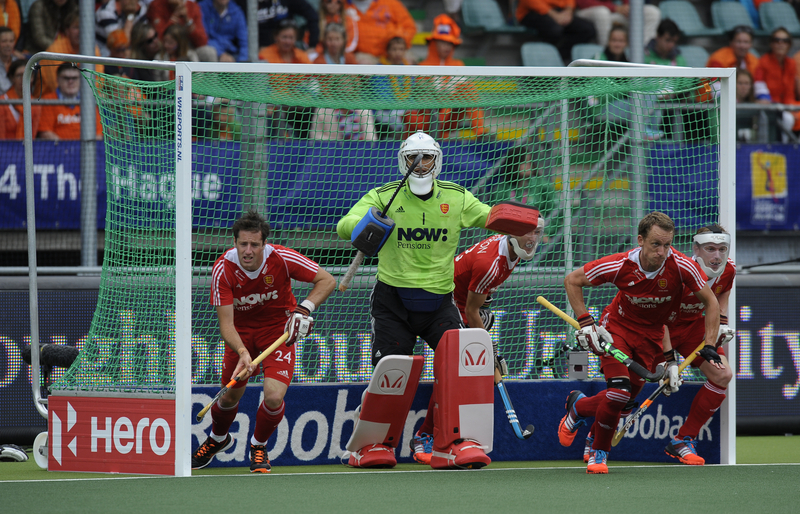 Kemperman scored three times in the competition including a crucial last minute winner in the pool against Korea to maintain his side’s winning start. Aside from his excellent goals he was one of the main attacking threats for the Dutch side, forcing numerous saves from Nico Jacobi in the pool match with Germany and playing like a man possessed in some of the Dutch’s tighter games. Kempermen is an extremely dangerous player who showcased some excellent individual skills for all to see in The Hague. The Malaysian goalkeeper might seem an odd choice given the number of goals he conceded but in truth, it seemed at times he was fighting a lone battle against the opposition. The pool match with Spain provides a handy summary of Kumar’s trials and tribulations. He conceded five times as his team went down to a 5-2 defeat, but some of the saves he made, including a stop using his facemask to keep out Roc Oliva were world class. The FIH Saves of the Day videos seemed to feature at least one effort from the Malaysia keeper every time he played. As a goalkeeper myself, I can identify with the problems he was facing and despite the less than flattering scorelines he was on the receiving end of, I was always quietly impressed by the number of saves Kumar made. What the scores might have been without him, perhaps don’t bear thinking about. It wouldn’t be right to go without mentioning the young player of the tournament. In his first ever world cup, the youngest man in Ric Charlesworth’s squad really turned heads with some mature displays in a formidable back line. Playing alongside the likes of Fergus Kavanagh and Mark Knowles obviously makes a huge difference to any player but Hayward looked accomplished and like he’d been in the international set up for years. If that wasn’t enough, he also showed himself to be a more than useful penalty corner option with a couple of goals in the semi-final. An impressive all round tournament from the young man who clearly has a bright future in international hockey. 1 Response to World Cup 2014: Men’s Players of the Tournament.